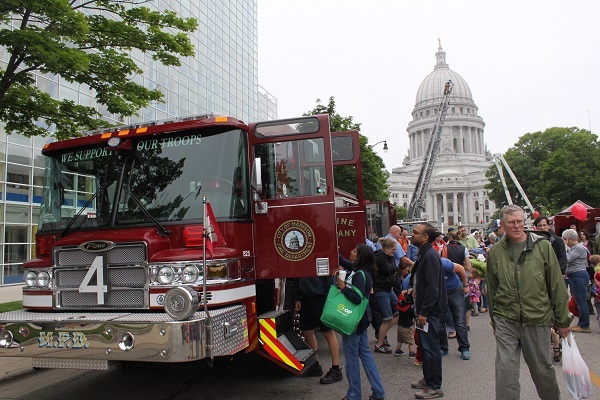 The Madison Fire Department was a proud participant in another successful Safety Saturday on June 13. 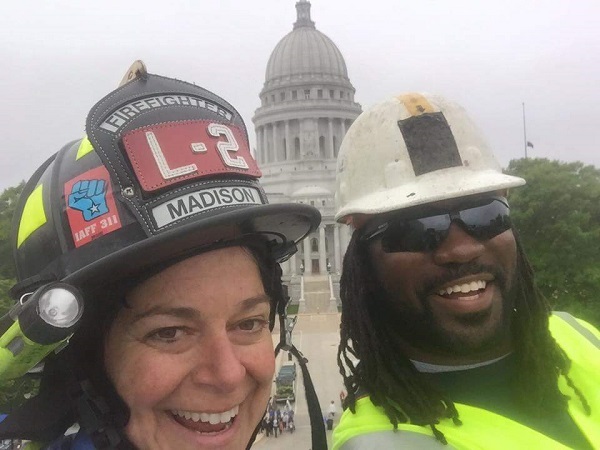 Staged on East Washington Ave., just off the Capitol Square, we invited the public to meet our firefighters, paramedics, and Fire Prevention Division, all while getting up close and personal with the fire trucks and ambulances. 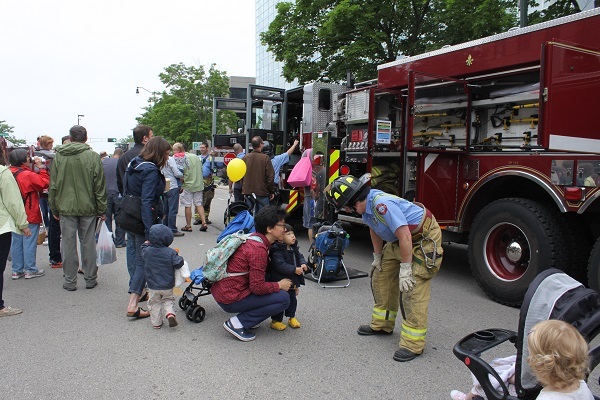 Kids had the opportunity to spray water on a live fire under supervision, and they had a chance to see our fire extinguishers and sprinklers in action. 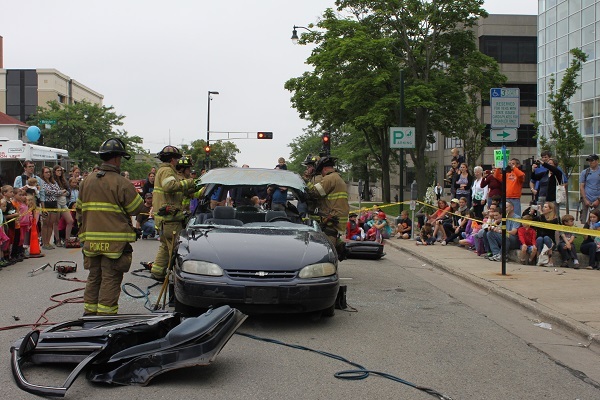 The crew of Ladder 8 hosted a "Jaws Of Life" extrication demonstration that captivated the crowd. 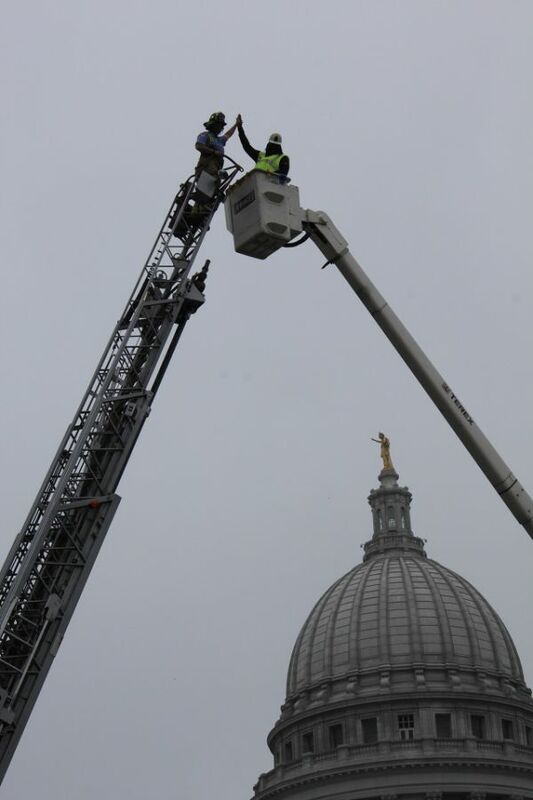 Our new aerial platform ladder was also on display. Below is an assortment of photos taken throughout the day. 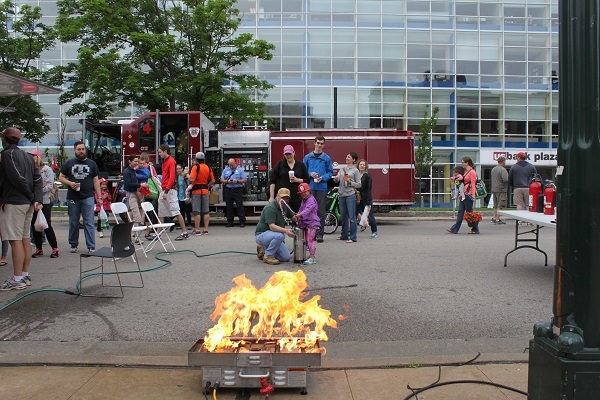 Thanks to our community sponsors, partners, and visitors for a fun and successful event. 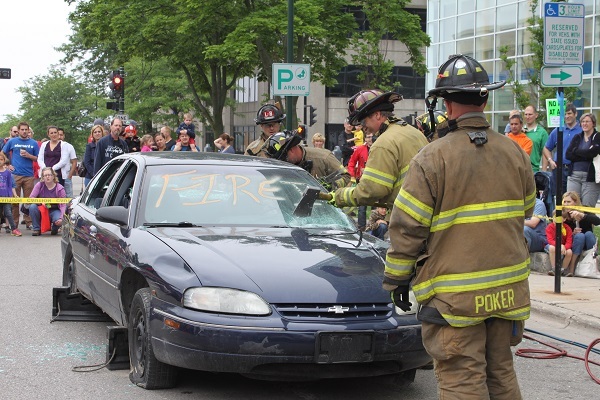 We look forward to seeing you at the next Safety Saturday!